The old prison was built in 1856-57 at Iwilei; it took the place of the old Fort Kekuanohu (that also previously served as a prison.) The new custom-house was completed in 1860. The water-works were much enlarged, and a system of pipes laid down in 1861. By the 1880s, filling-in of the mud flats, marshes and salt ponds in the Kakaʻako and Kewalo areas had begun. This filling-in was pushed by three separate but overlapping improvement justifications. The first directive or justification was for the construction of new roads and the improvement of older roads by raising the grade so the improvements would not be washed away by flooding during heavy rains. Although public health and safety were prominently cited as the main desire (and third justification) to fill in Honolulu, Kewalo, and then Waikīkī lands, the fill ultimately provided more room for residential subdivisions, industrial areas and finally tourist resorts. In the early part of the twentieth century, Kakaʻako was becoming a prime spot for large industrial complexes, such as iron works, lumber yards, and hauling companies, which needed large spaces for their stables, feed lots and wagon sheds. An 1887 Hawaiian Government Survey map of Honolulu shows continued urban expansion of the Downtown Honolulu area. 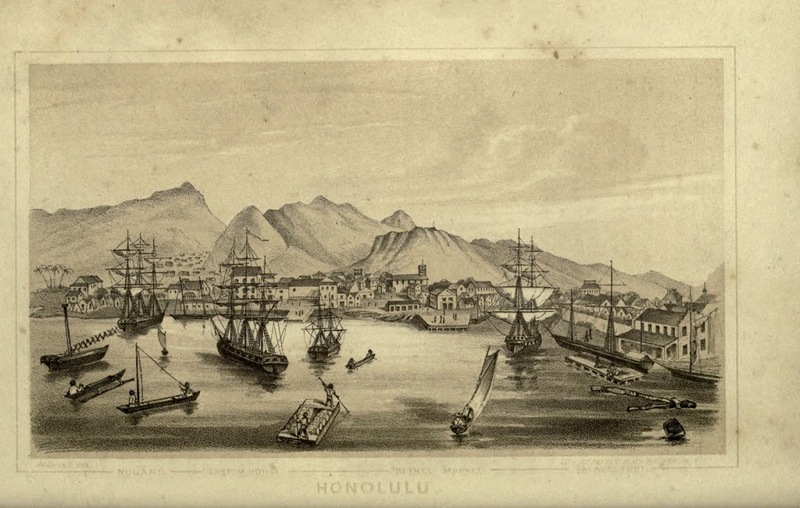 In 1889, the Honolulu Harbor was described as “nothing but a channel kept open by the flow of the Nuʻuanu River;” a sand bar restricted entry of the larger ocean vessels. In 1890-92, a channel 200-feet wide by 30-feet deep was dredged for about 1,000-feet through the sand bar. Piers were constructed at the base of Richards Street in 1896, at the site of Piers 17 and 18 in 1901 to accommodate sugar loading and at Piers 7 and 12 in 1907. After annexation in 1898, the harbor was dredged using US federal funds. The dredged material was used to create a small island in the harbor in order to calm the harbor and avoid constructing a breakwater. This island became what is now known as Sand Island. A series of new piers were constructed at the base of Richards Street in 1896, at the site of Piers 17 and 18 in 1901 (to accommodate sugar loading) and then at Piers 7 and 12 in 1907. Further dredging was conducted at the base of Alakea Street in 1906. With the opening of the Panama Canal in 1914 and anticipated increased trans-Pacific shipping, government and business planned to further enlarge Honolulu Harbor by dredging Kalihi Channel and Kapālama Basin. However, because of military concerns, the Reserved Channel connecting Honolulu Harbor to Kapālama Basin was dredged instead. This is known as the Kapālama Channel. Honolulu Harbor expanded into the Kapālama Basin and by the early 1930s Piers 34 had been constructed. Pier 35 was constructed in 1931 to provide dedicated facilities for inter-island pineapple shipments. On September 11, 1926, after five years of construction, Aloha Tower was officially dedicated at Pier 9; at the time, the tallest building in Hawaiʻi. Today, Honolulu Harbor continues to serve as Hawai‘i’s commercial lifeline for goods to/from Hawaiʻi and the rest of the world. In addition, I have included images and maps of this region in this relative timeframe (mid-1850s to 1900) in a folder of like name in the Photos section on my Facebook and Google+ pages. 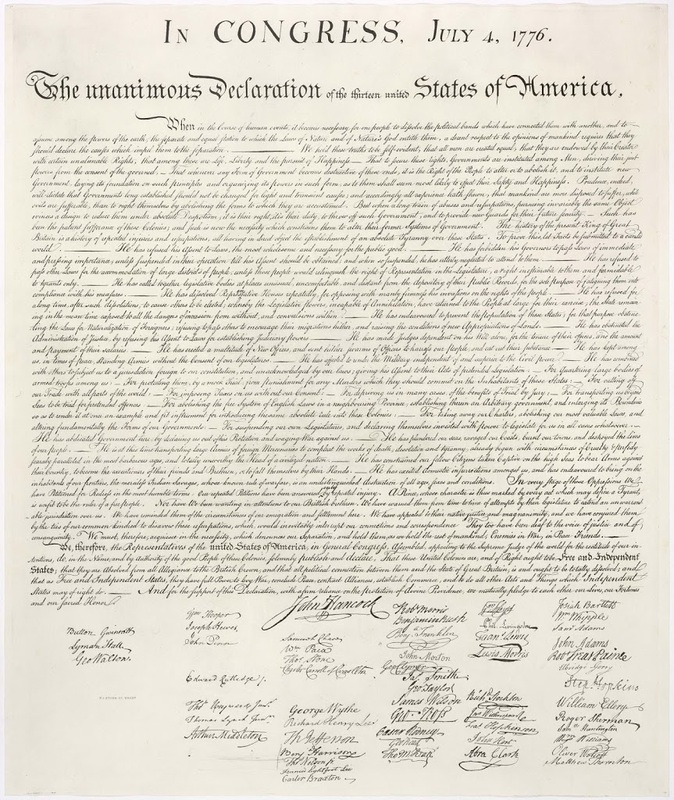 By the middle of the 19th century the Hawaiian population had declined drastically through the impacts of disease and epidemics and the dispersal of the young men of the Kingdom on whaling ships and seeking their fortunes in the California gold fields. In 1850, the Hawaiian population was down to 46,500. At the same time the American occupation of California and Oregon gave the islands a large, relatively close market for agricultural crops. In 1852, the first group of 200 Chinese labor contract immigrants were brought in to work in the sugar plantations. In the hundred years from 1850 to 1950, over 350,000 labor immigrants were brought in to supply workers for the plantations and to augment a declining population with people of kindred races. 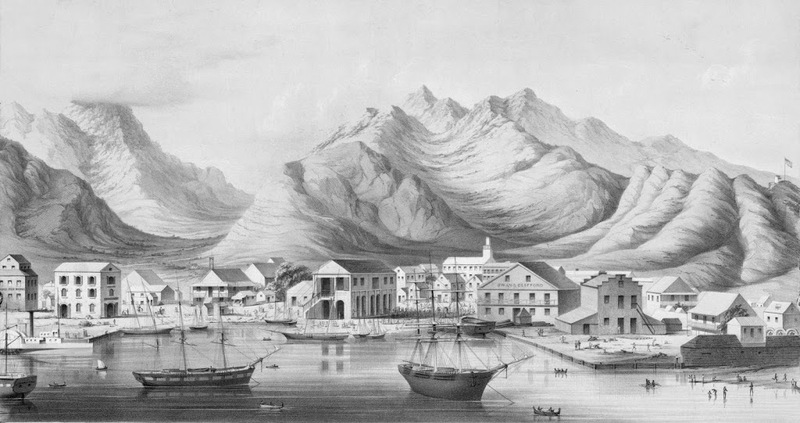 For nearly one hundred years immigrants arriving in Hawaiʻi had their initial processing in the area of the present immigration building at the entrance to Honolulu Harbor. In the 19th century they came over the channel wharf to be processed at the pavilion and quarters of the Kingdom’s Quarantine and Immigration Depot built in 1879 on what was popularly called Fisherman’s Point. Although Herbert C. Clayton was the architect who contracted to design the building, it is quite evident that the architect associated with him for this project had the major design role, CW Dickey. The entrance portico designed by Dickey as the most important architectural feature of the building reflects Hawaiʻi and the Immigration Station function as a bridge between East and West. The portico is accented by Chinese architectural details and the large bronze compass plaque set in the floor of the entrance lobby shows Hawaiʻi as the crossroads of the Pacific by indicating distances to principle cities on the Pacific rim. A special area was designed into the building to provide a “matrimonial” room where Japanese girls, who had been married by proxy in Japan to men living in Hawaiʻi, met their husbands for the first time and were formally married. These picture brides numbered 14,276 between the years 1907 and 1923. 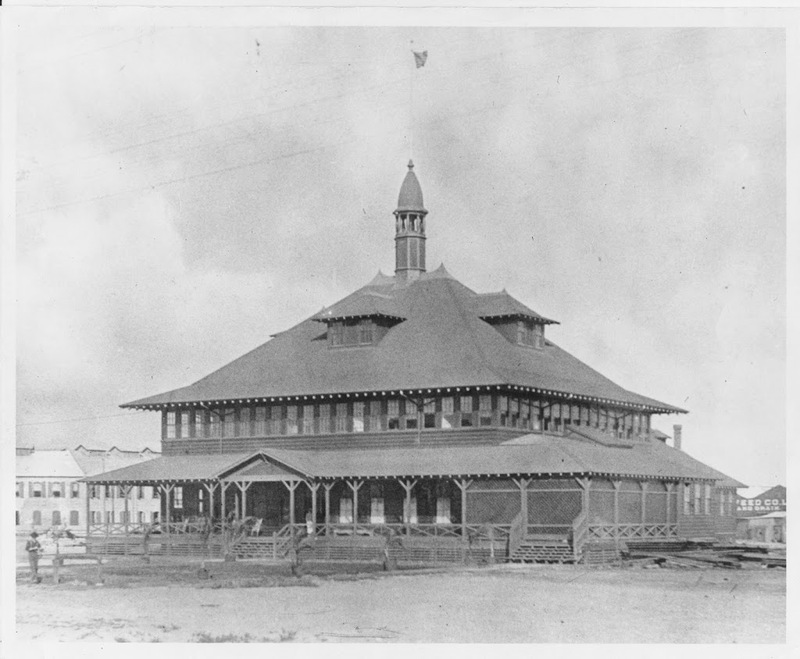 Mr. AE Burnett, for many years the District Director of Immigration, hoped that the buildings would serve as a model for other stations across the nation. The image shows the Immigration Station in 1905; this was replaced by the present Dickey-designed facility. (Lots of information here from NPS.) In addition, I have added additional images in a folder of like name in the Photos section on my Facebook and Google+ pages.